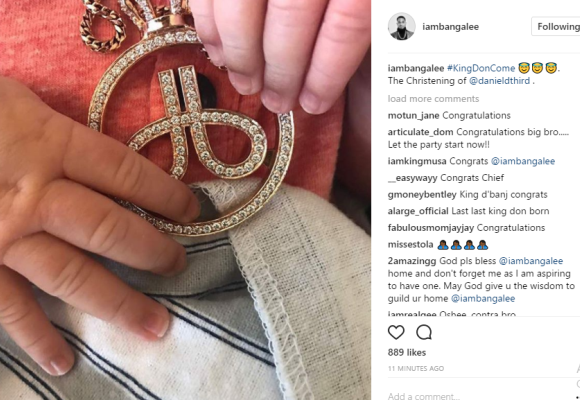 Oladapo Daniel Oyebanjo, popularly known as D’banj, has welcomed his first child. D’banj is married to Lineo Didi Kilgrow. They tied the know in a secret ceremony in July 2016, which took place in Lagos and Abuja. The 37-year-old musician and entrepreneur confirmed the arrival of the baby on his instagram page. “#KingDonCome The christeningof@danieldthird”, he wrote. D’banj is the founder of Koko Foundation for Youth and Peace Development.